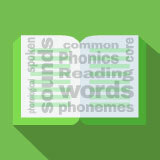 In this experience, students learn common word roots, prefixes, and suffixes. They also explore how knowledge of roots and affixes is a strategy for vocabulary comprehension. Then they combine the word elements and use their newly acquired words in sentences. Students will work in small groups in Scene 5. Learn to find word meanings by understanding roots, prefixes, and suffixes. Use words with roots, prefixes, and suffixes. When you are reading, do you ever come across words that are new to you? There are different strategies for dealing with these words: you can ask a family member or classmate, you can look them up in a dictionary, or you can judge by the context what the word might mean. In this experience, you will learn another strategy: how to break a word into parts to unlock its meaning. Learn to determine word meanings by understanding roots, prefixes, and suffixes. Examples include unhappy, unusual, unsure. Write words ending with -less, where those letters change the meaning of the word that precedes it. Examples include careless, endless, fearless, homeless, worthless. Discuss student responses as a class. Ask students what the prefix un- and the suffix -less do to the words in the word clouds.